Meet Robert, our Optician and Optical Lab Manager. Robert grew up in Detroit Michigan and graduated from Glenn Mills Schools in Concordville Pennsylvania. 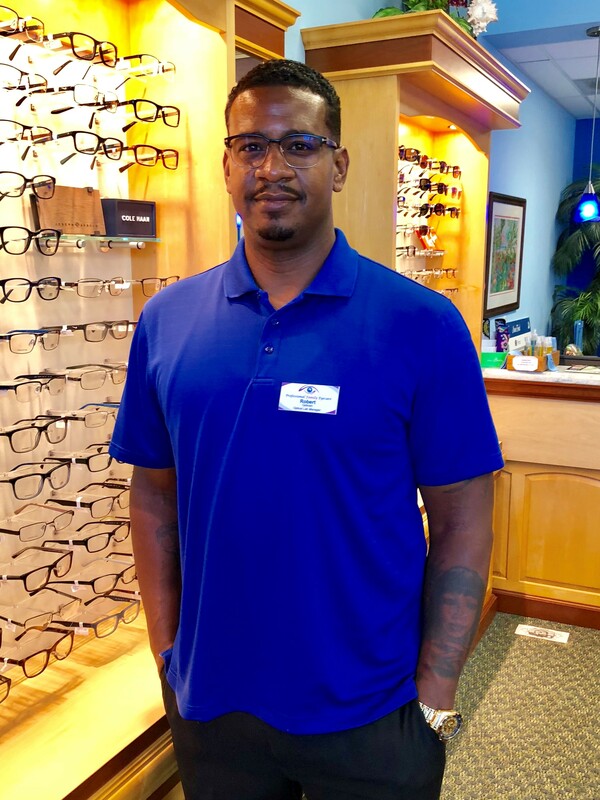 After graduation Robert went back to his hometown to work as an optician in a franchise optical store. Robert attended college in Syracuse New York and continued his education in the optical field. Robert has an array of knowledge from working in the optical field for close to 20 years. His background ranges from management, expediting, and sales. His passion is engaging with patients to find exactly the right glasses that will fit their individual needs. Robert’s favorite pastimes are spending time with family and traveling.